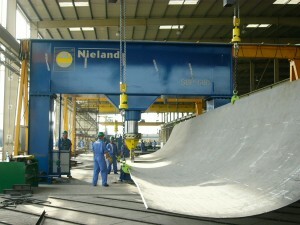 Nieland is the reputed Dutch manufacturer of shipbuilding presses for the cold forming of 2- and 3-dimensional shaped panels for the ship’s hull. Besides portal presses, Nieland is also responsible for the engineering and production of framebending machines for the forming of, for example, flat bulbs. The key principle for cold forming by Nieland is the combination of rolling (local stretching) and bending in one hydraulic portal press. For this, the portal presses SBP can easily be equipped with an optional rolling unit PWU. 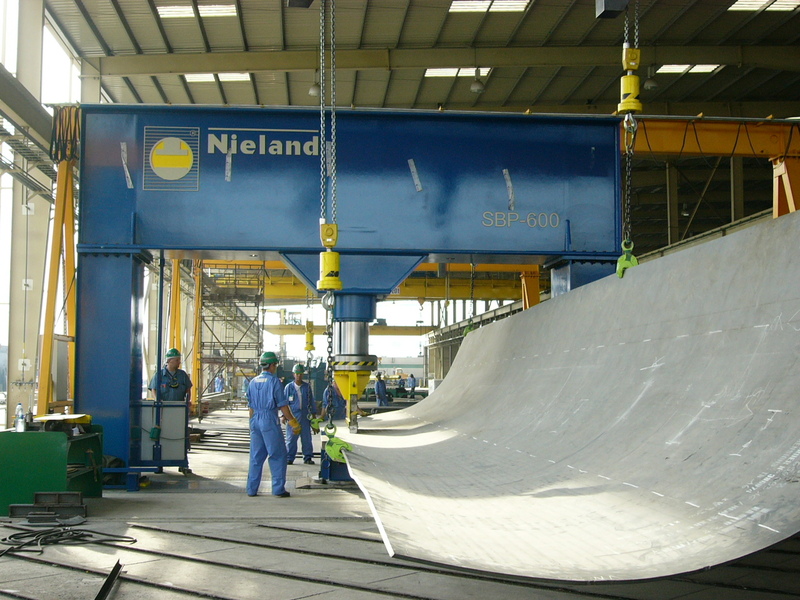 As cold forming is a skill, Nieland provides local on-the-job trainings for the operators, because of which, production can be made as per the day of commissioning. Portal presses, the SBP series with pressing forces from 1750- 15000 kN. C-presses, the SBO and PWO series with pressing forces from 300-1500 kN. Frame bending machines SBK, suitable for a.o. flat bulbs in the range of HP80-HP430. The optional roller unit PWU 100 or PWU 150 which enables the press to act as a roller press for stretching as well. For the complete product range, toolsets developed for bending, stretching and rollforming of the panels, are available.